At Apple Tree Orchard Preschool and Daycare, we strive to create a fun environment with knowledge-building activities in our early childhood education program. 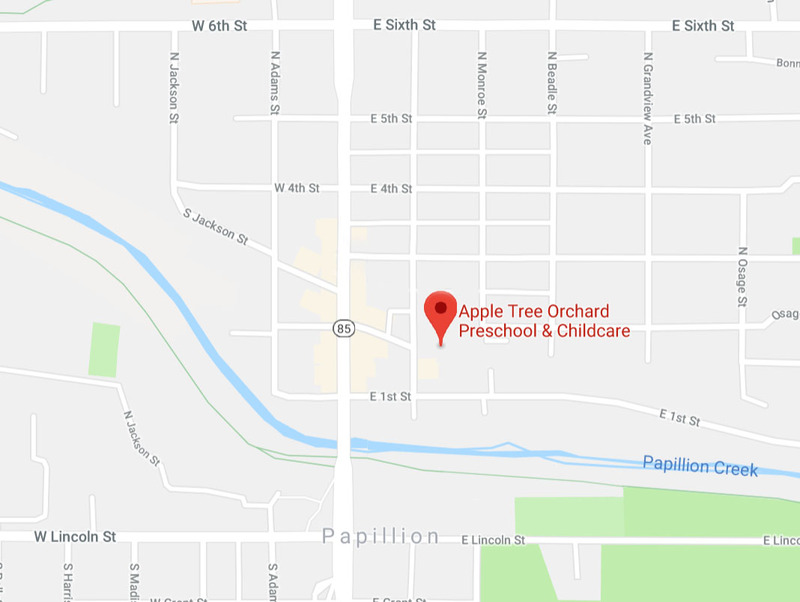 Since 2000, Apple Tree has been a leading family-owned early childhood education center in Papillion and the greater Omaha community. Our strong emphasis on imagination and fun as crucial elements to any learning process brings our education and kindergarten readiness programs to stand out among the rest. Combining learning and fun is the goal of our Pre-K and early education programs as we strive to give each child the knowledge they need to prepare for kindergarten and the world ahead. For the first 8 years of your child’s life, they are rapidly growing physically, socially, and cognitively. During your child’s time in our early childhood education program, they are just beginning to develop all kinds of skills that they will carry into their adult life. That’s why we aim to create an environment that nurtures growth in these areas of your child’s development. To us, this means creating a safe place for your child to learn, play, and imagine. Rather than just focusing on the letters and numbers, we structure our programs in a way that encourages children as they blossom socially, grow stronger, and lay foundations for their perspectives and values. With our early childhood education program, we seek to provide children in our care with an atmosphere that encourages them to build important skills while having fun at the same time. Play is an incredible way to maintain your child’s attention as they learn important lessons that stimulate cognitive growth. In fact, learning through play has been proven to be extremely important in all stages in your child’s development. It teaches them social skills, develops them physically, and encourages them to think critically and imaginatively. The opportunity for social interaction in early childhood education and development happens during play. Children learn the appropriate social skills, establish a sense of “self,” and learn what is expected of them from others. Social interaction includes sharing, cooperation, respecting others and others property, communication, cognitive skills, and motor skills. Learning these social skills at an early age often encourages children to develop a higher sense of self esteem. The interaction of nondisabled and disabled children is also crucial during early childhood development. Allowing integration in preschool and Pre-K builds friendships which form positive and accepting attitudes between all parties. Preparation for kindergarten is crucial in the development of your child. Providing them early childhood education and skills required for kindergarten will help and encourage further learning while making the transition from Pre-K to kindergarten easier for your child. Academic courses such as math, reading, science are the main focus areas of our program. Creative expression through art and music, health and wellness are encouraged through organized play and games. Children will learn to sit at a desk and focus on the task at hand, standing in a line, working in groups and individually. 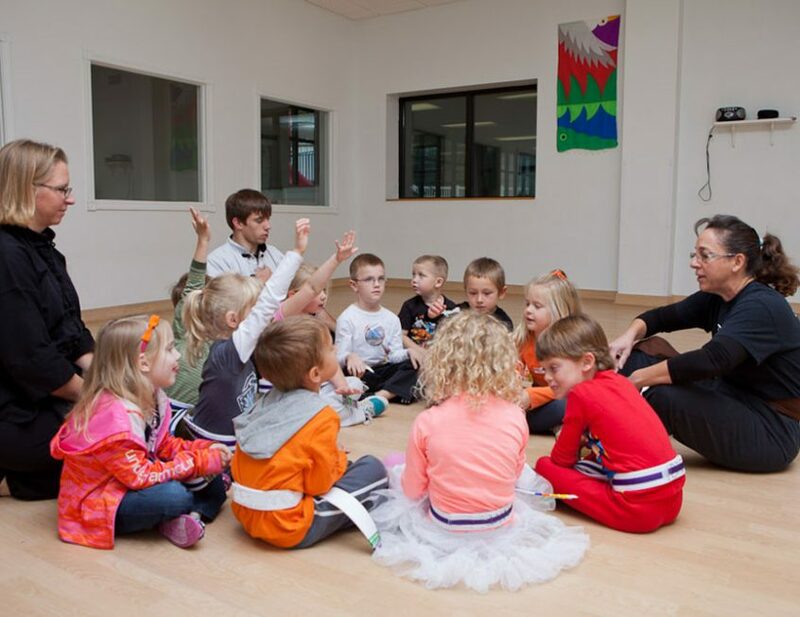 Our Omaha and Papillion area preschool prepares children for a bright and productive future. To learn more about our early childhood education program and preschool curriculum, located in the greater Omaha area, visit our contact page or call Apple Tree Orchard at (402) 827-7537.